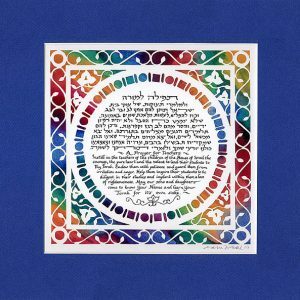 Categories: Jewish Wedding Gifts, Judaica. 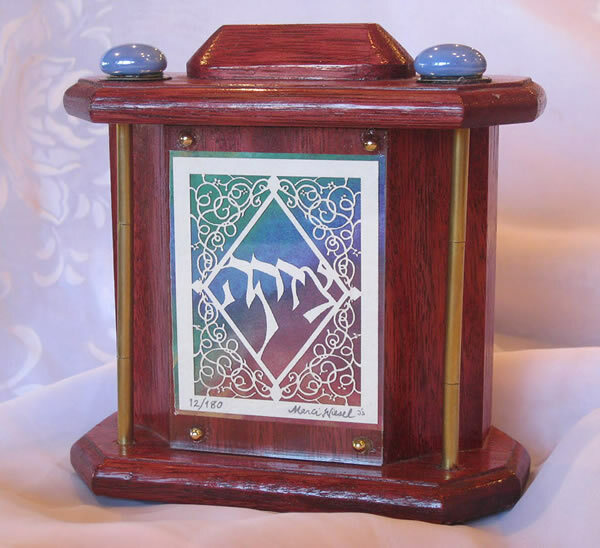 Tags: Charity Box, Jewish gift, Judaica art, Marci Wiesel, Papercut Judaica, Pushka, Sephardic Jew, Tzedaka Box, Wood Tzedaka Box. During the 1940s, there was a Sephardic Jew who lived in a small village near the borders of Spain, Portugal, and Morocco. 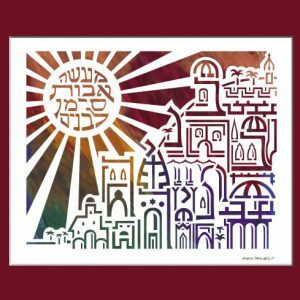 He was a master craftsman, and he used his talents to help his Jewish community. He would make beautifully detailed ornate belts for the king of Morocco. He gave these belts to the king and in return, the king would allow the Jews to live in peace. 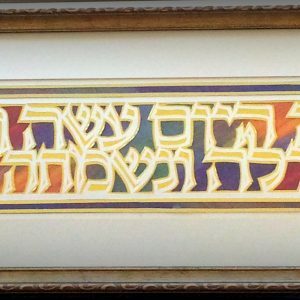 This Jewish craftsman made his way to Israel in the 1950s. There, he raised his sons to be craftsmen as well. The sons changed their last name to Bar Sheshet, and opened a successful carpentry shop near Jerusalem. Their father, the master craftsman, though aged, still retained his talents and took on a final project in order to keep himself busy and near to his sons. In the shop, while his sons built cabinets, bookcases, and closets, he carefully fashioned lovely and strong wooden tzedaka boxes. He finished the boxes, but was unable to adorn them before he died. The boxes, raw of any decoration or even hardware lay in the shop collecting dust for many years. A few years ago, I hired the Bar Sheshet brothers to build cabinets in my art studio. When they saw my papercut designs on the walls, they told me about the tzedaka boxes that were taking up room and collecting dust in their shop. Perhaps, they offered, there was something I could do with them. I have since taken upon myself to complete the project that their father started. 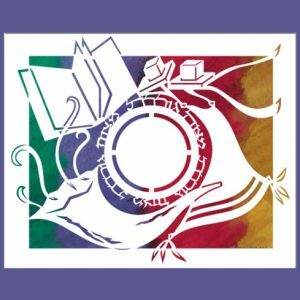 The papercut design and adornments are meant as a respectful tribute to the memory of the Bar Sheshet’s father, the Sephardic Jew and master craftsman who helped his fellow Jews live in peace while on foreign soil and who found true peace for himself and his family in the Land of Israel.